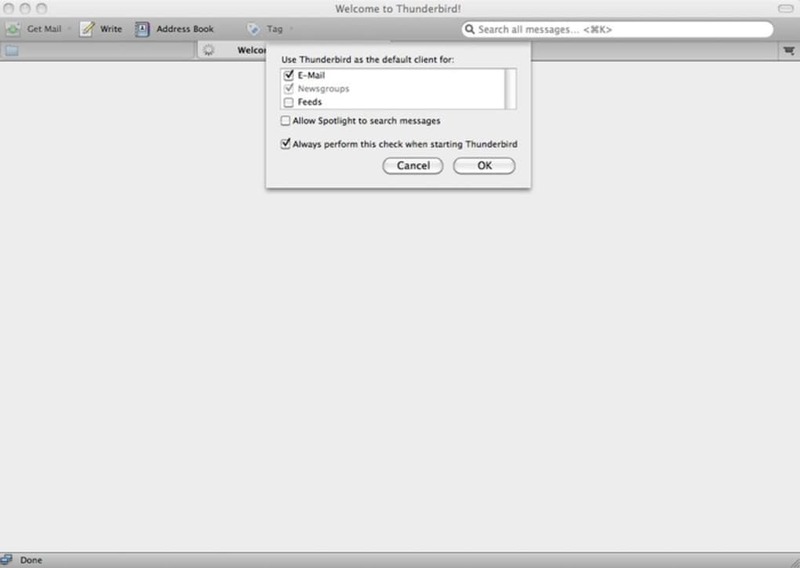 The search tool in Thunderbird is excellent and searches happen in real time as you type. Search results are displayed in a separate tab. 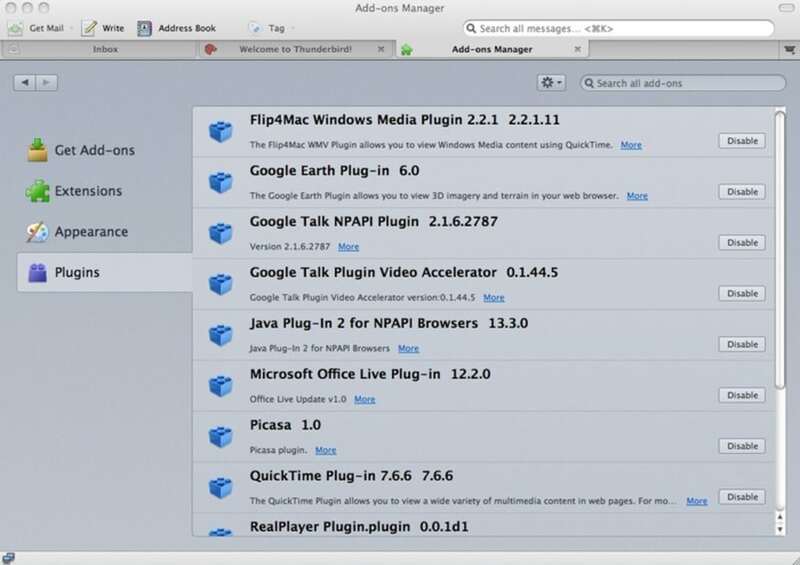 Tabs in general are a very big part of Thunderbird and like Firefox, you can have multiple messages open in separate tabs. 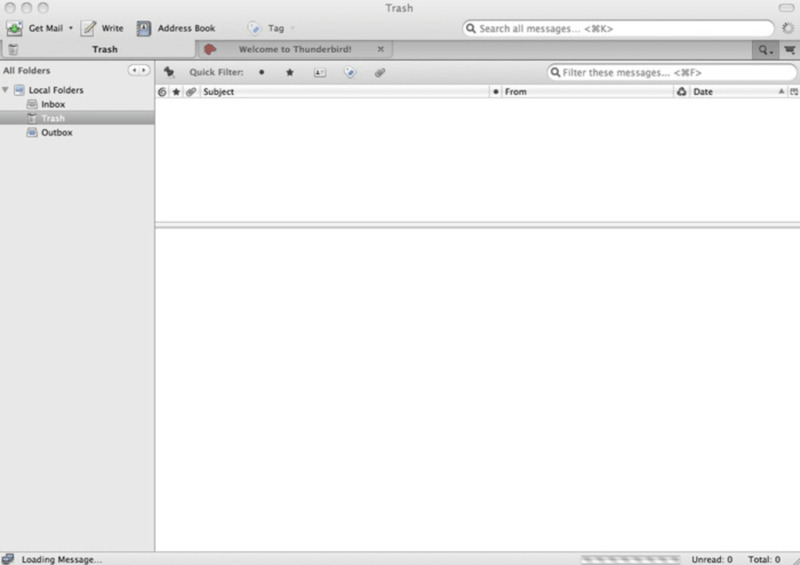 This is a fantastic feature of Thunderbird, although does tempt you to have too many mails open at once. Archiving is also another handy feature for those that don't want to delete messages but want to clear space in their inbox. So what about security? You might think an open source mail client would inherently be less secure than a paid one but Thunderbird is surprisingly secure, with a fairly bulletproof spam filter. 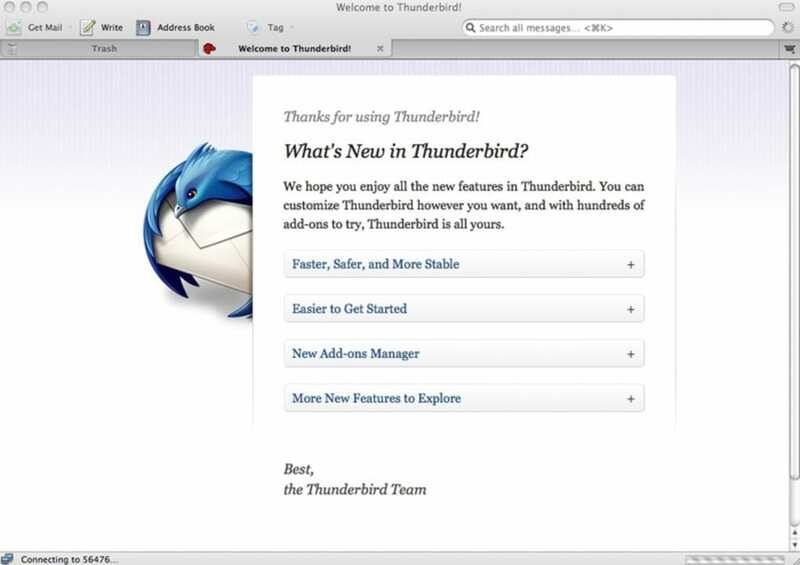 The reason being is that Thunderbird is regularly updated and crafted by volunteers who's main interest is making a better product rather than profiting from an end-product. 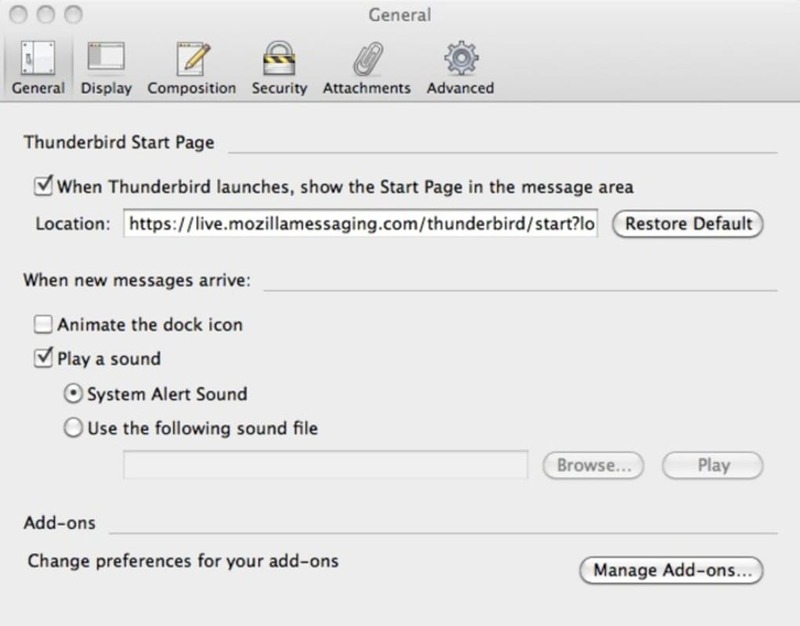 Security updates are regular but small so as not to slow-down Thunderbird. 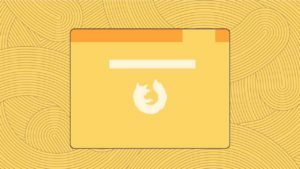 One of the biggest selling points of Mozilla Thunderbird is, due to the launch of Snow Leopard, that it now offers Microsoft Exchange support, meaning it will appeal to Office users who previously discounted it. 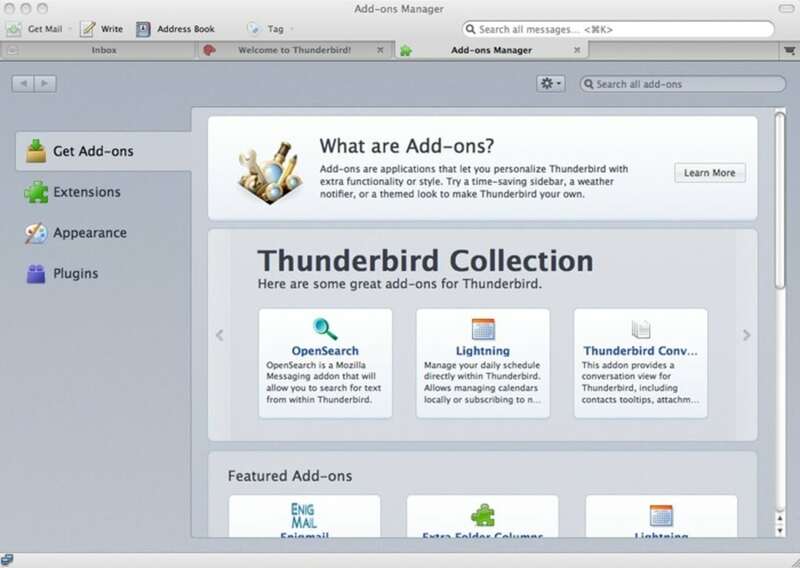 Whats more, Mozilla has finally given Thunderbird a real OS X look and feel rather than just a clone of the Windows version as in previous releases. On the downside, the app is lacking some finesse in certain areas. 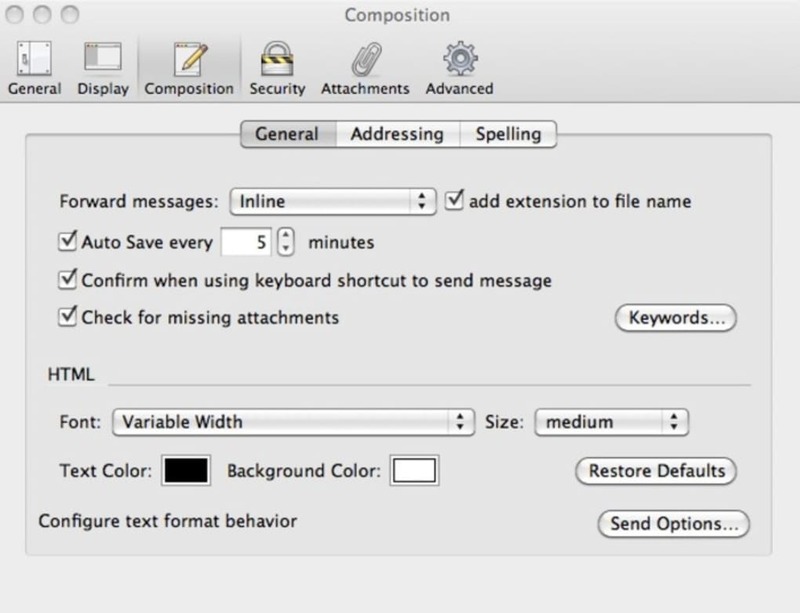 Thunderbird still doesn't have conversation style email views like in Gmail (although an extension to do this can be downloaded separately) and there aren't many options for managing attachments and photos. There's also no calendar but again, this can be downloaded separately in the form of "Lightening". Powerful and Flexible. 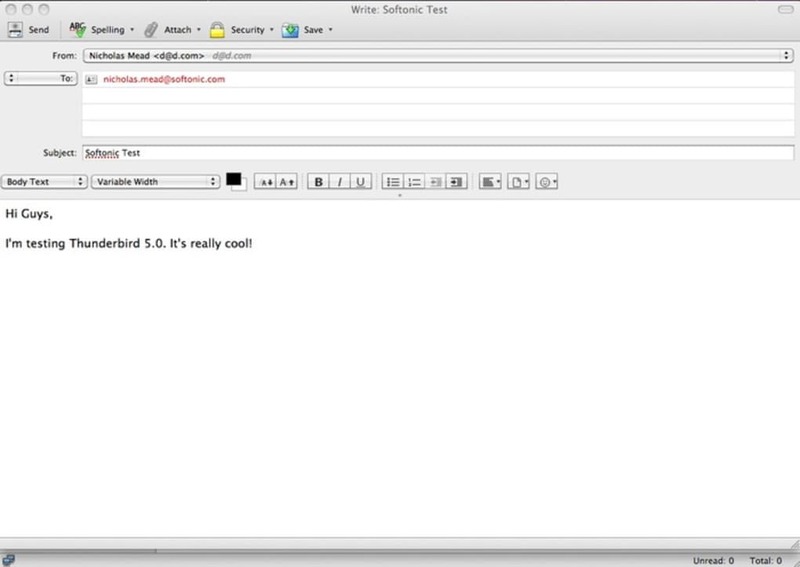 This is a great email client. 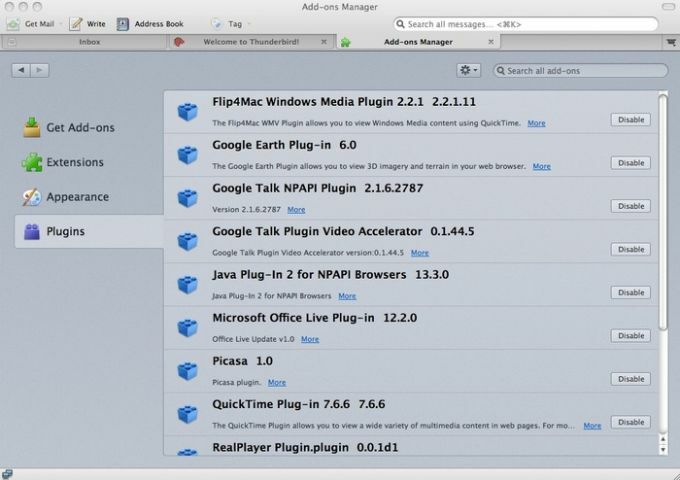 Similar to Firefox, it has numerous add-ons, themes and other ways to customize it. 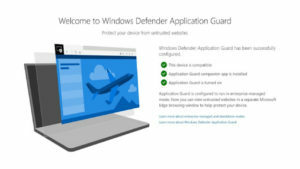 There's an active add-on development community, continuing to offer convenient enhancements.